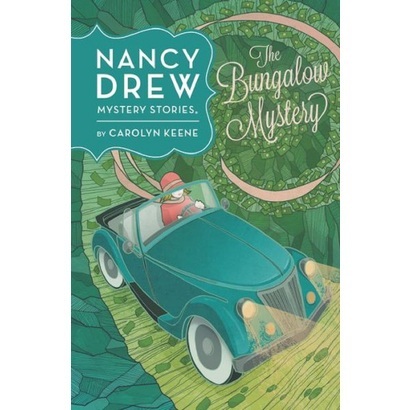 I recently ran across these mega-cute reprints of the first four Nancy Drew stories: The Secret of the Old Clock, The Hidden Staircase, The Bungalow Mystery, and The Mystery at Lilac Inn. They're Penguin editions, they seemed sturdy, and, at $7.99, they're the same price as the classic editions with school bus-yellow spines (but they're much, much prettier). According to the above link, they'll be released everywhere on May 1st, but for now they're a Target exclusive.